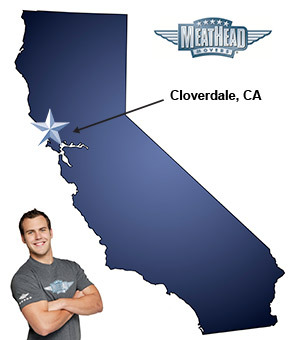 Whatever your moving needs may be, Meathead Movers will help you feel at home in Cloverdale. Our professionally trained student-athlete movers and our moving concierge will be with you for the entirety of your move. If you are moving to or from anywhere in Cloverdale, we are the moving company for you! Our professionally trained student-athlete movers and moving concierge service are here to help you with every stage of your move. Located in the gorgeous Alexander Valley wine region of Sonoma County, Cloverdale is a small and evolving city. Surrounded by oak-lined hills, wineries, and farms, this beautiful city is teeming with recreational opportunities. Visit any one of the area’s family friendly parks or take a trip to Russian River for a day of waterfront fun! Adults will love a trip to any one of the areas popular wineries such as William Gordon or Acaria Creek. The city also has a growing downtown area with wonderful shops, restaurants, a history center, and a performing arts center. If you are considering a move to the area, Meathead Movers is here to help! Our moving company specializes in local, long distance, and commercial moves. We also provide reliable packing, storage, on-site relocations, and our distinctive moving concierge service. All our student-athlete movers are thoroughly screened and trained before their first move. With branches all throughout the state, we are a one-stop resource for all your needs, no matter where in California your move takes you. Check out our reviews to see what your neighbors have to say about us! We are so confident in our services that we even offer a 100% satisfaction guarantee. So what do you have to lose? Contact Meathead Movers today for a free moving quote and learn how we can help you on your next move. Moving to Cloverdale? Here are some helpful resources. The prompt. professional and clean-cut service by a crew who knew how to work hard and work with each other.